Bottom Line: A tasty, spunky absinthe with good balance and drinkability. Absinthe is a distilled beverage made from a number of seeds and herbs, especially that of the wormwood plant. It is high in alcohol (between 45%-74%) and has, in literature, been referred to as a hallucinatory beverage, known as "the green fairy." In reality, absinthe is a anise-flavored spirit that can contain ingredients such as fennel or aniseed. 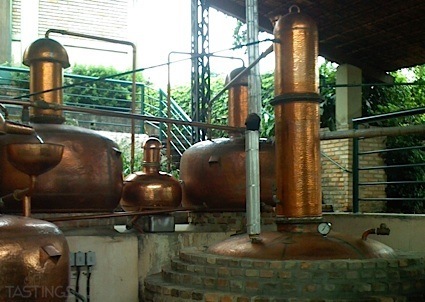 While there are many different styles of anise-based spirits throughout the world, such as Ouzo from Greece or Sambuca from Italy, absinthe is generally higher in alcohol. Absinthe is diluted with water to make it palatable, given is high alcohol and bitter qualities. For some time, it was banned in France, as a neurotoxin in wormwood caused drinkers to become ill. Today, however, improved distillation methods have created a more tame absinthe and the spirit has regained much of its popularity, as well as its mysterious legend. 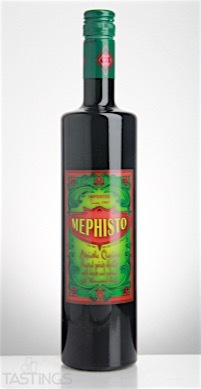 Mephisto Absinthe rating was calculated by tastings.com to be 90 points out of 100 on 10/19/2016. Please note that MSRP may have changed since the date of our review.